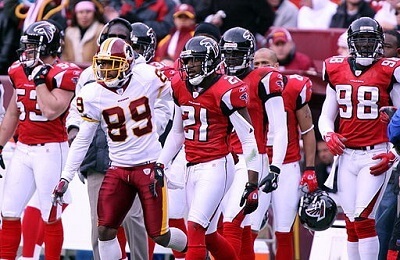 Get notified when Atlanta Falcons tickets are available! The Atlanta Falcons are a football team that plays in the National Football League. A member of the South Division in the National Football Conference since 2002, the team was founded in 1965 and has always been located in Atlanta. The team’s colors are red, silver, white and black, and they have played in the playoffs more than 10 times. The team won their first conference championship in 1998 and their first Division championship in 1980. Over the years, the team has played in a number of stadiums, including the Atlanta-Fulton County Stadium and the Georgia Dome. For Atlanta Falcons tickets, check out the schedule above.